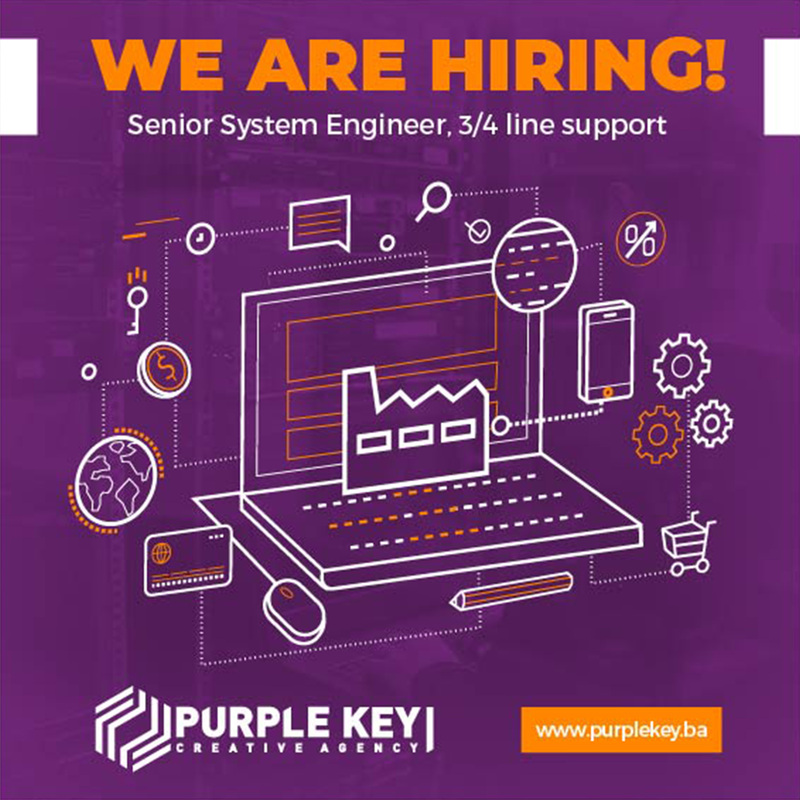 Due to increased volumes of business activities, Purple Key is searching for a responsible and motivated person for the open job position “Senior System Engineer” with its headquarter in Sarajevo. If you wish to become part of a successful team and fulfil the conditions listed below, we invite you to send your CV. Working with virtual environments, upgrading and documenting information systems.